The situation with informal employment is under control, if there are cases of involvement in work without a contract, penalties are applied. 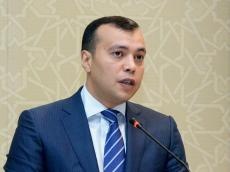 The statement came from Minister of Labour and Social Protection of Population Sahil Babayev during a press conference held jointly with Joachim Breuer, the President of the International Social Security Association (ISSA) and Head of the German Society for Compulsory Insurance against accidents. Addressing the event, Babayev reminded that President Ilham Aliyev signed the law “On suspension of inspections of entrepreneurial activities”. “This encourages the development of entrepreneurship, we try to conduct checks through an electronic system, that is, there is no contact between the official and the citizen, and very serious work is being done in this area. The results of the work will be announced in the near future,” the minister stressed. The inspection of entrepreneurs’ activities in Azerbaijan has been suspended for the period of two years from November 1, 2015. In November 2017, the Azerbaijani government has extended the moratorium of inspections of business activities until 2021. During the period of the law’s validity, only tax audits, quality control of medicines by relevant executive authorities, verification of compliance with safety regulations and safety control of food products, as well as checks on cases that threaten the health and life of people, national security and economic interests may be carried out. Babayev went on to say that Azerbaijan uses the experience, as well as technical and expert assistance from ISSA to address pension issues and rehabilitation problems for people who have been disabled due to work accidents. “We want to make the process of resolving social issues transparent and flexible, and the experience of ISSA and Germany is important for us,” the minister said. Rhere are prospects for expanding cooperation with the German Social Insurance Organization, according to him. “We would like to strengthen social protection of the population. We study international experience, innovative approaches,” the minister explained. The sides discussed the issues of social and medical rehabilitation of persons who became disabled due to accidents at workplaces in Azerbaijan, the preparation of a mechanism of compensation for them. Babayev further noted that the creation of private pension funds in Azerbaijan is on the agenda, adding that for this there are no restrictions. “This is a complex issue and it cannot be solved by short-term analysis. It is necessary to carefully analyze this process, which takes a long time,” he said. The minister mentioned that Azerbaijan is interested in developing private pension activity and is ready to listen to the proposals of the private sector. Non-state pension funds are structures that carry out the turnover of social insurance funds, the appointment and payment of pensions. Unlike public pension funds, a private pension fund is a base created for the accumulation of pensions at the expense of the population’s own income. Basically, these funds organize the turnover of social insurance funds paid by citizens, receiving from these additional funds, and then at the expense of these funds increase the provision of pensions. Through these funds, many countries have managed to increase pension provision. Private pension funds operate in Germany, Great Britain, Ireland, Turkey and other countries. ISSA, which was founded in 1927, is a universal international organization that eyes to implement a unified world policy in the field of social protection of the population. Moreover, the organization takes part in the activities of other international organizations aimed at improving the system of social protection of the population. ISSA includes 320 social organizations from 159 countries, Azerbaijan is a member of the ISSA Bureau, conducted a number of its activities in Baku.